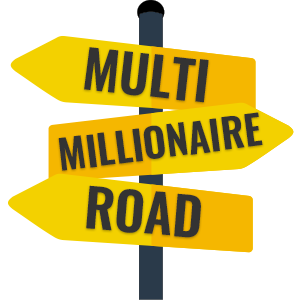 Some of you have probably heard about Robert Kiyosaki (of Rich Dad Poor Dad fame). While not everything he writes is amazing, one of his better recommendations is to try to “turn liabilities into assets”. He uses the example of only buying a new yacht because he knew he could rent it out when he wasn’t using it. When you own a lot of stuff, you start thinking that you have a lot of assets. But owning all that stuff isn’t putting any money in your pocket, in fact often it’s costing you money. You pay the mortgage and council tax on your house, you pay insurance, road tax and fuel for your car, and you have to pay for the electricity all your gadgets and appliances use. In reality, most of your stuff are liabilities - they make you poorer. Worse still, because things get damaged and worn over time, most of the things you own will depreciate in value (perhaps apart from houses), leaving you even more out of pocket. But, often the very point of having more money so that you can buy nicer things. So if you’re making more money so you can buy more things, which then make you poorer again, what are your options? Probably the best option you have available to you is to turn these liabilities into assets - in exactly the same way that Mr Kiyosaki would recommend. Thanks to a whole set of new websites and apps that have been started recently, it’s now easier than ever to create a rental income stream from the things you own. You can rent out your car. To cover your insurance and road tax payments, as well as the cost of the car in the first place, more people than ever are starting to rent out their car when they’re not using it. For example, if you get the train to work, why not rent your car out to people near your house? Or if you do drive to work, does the car need to sit in the car park all day, couldn’t someone pay you £20 to use it for a few hours while you’re sat at your desk instead? Then there are even easier options. You could rent out your driveway or garage as a parking space (especially if you live near a busy train station). You can rent out your power tools, sports equipment, garden tools, electronics - someone will come round to collect it, then bring it back after they’ve finished using it. You could rent out the storage space in your spare room, attic or loft. You could even rent out your garden to people who want to camp in it. So if you own anything that you don’t use that often, stop letting it drain the money from your pocket, and see if you can’t earn something from it instead. What are the sites I could use? Or, you can sign up to idle, choose what you have to share, and they will create you an account on every relevant website, and you can manage everything in one place.